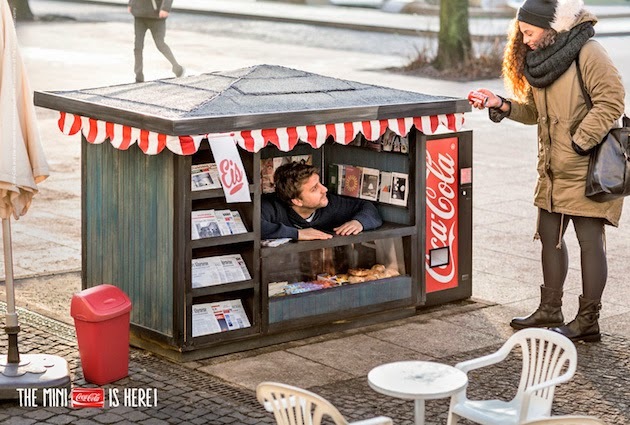 This ad campaign packs a big punch in a tiny package! 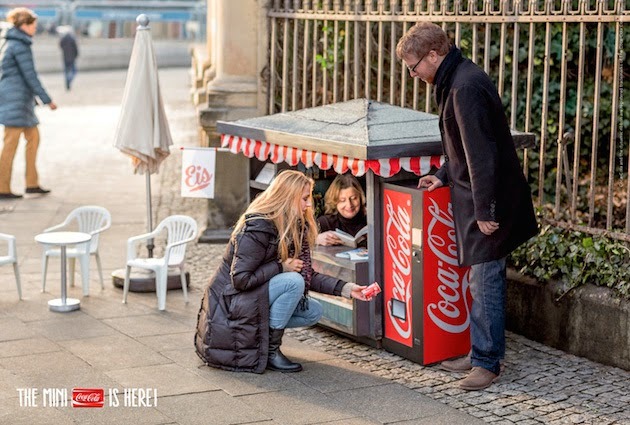 Created by Ogivly & Mather Berlin, these itty bitty news kiosks have been scaled down to match the size of Coca Cola's new mini can. 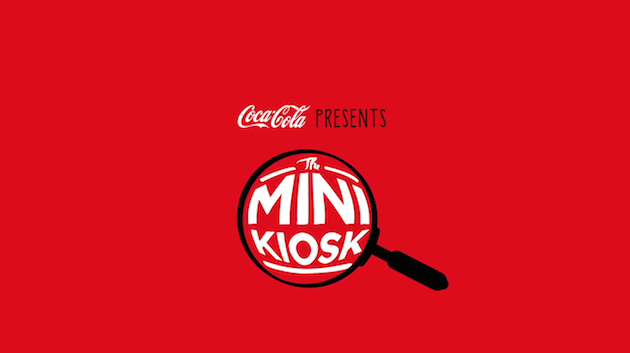 I love the delight on people's faces as they encounter the person working behind this impossibly small newsstand and am not surprised to hear that these kiosks sold an average of 380 mini cans per day, or 278 percent more than a normal Coke vending machine. Who wouldn't want to buy something from such a cute set up? 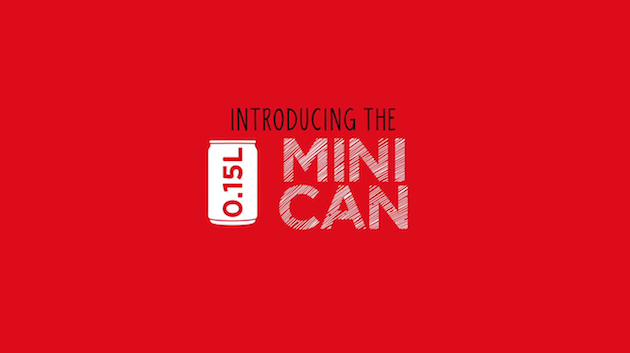 The whole project is meant to be an embodiment of the campaign motto: "It's the little things that make us happy." I agree wholeheartedly! Learn more about the project here and here. Like advertising-related posts? Check these out.